Little bigger than Rufous-tailed Rock Thrush, with longer tail and bill. Males are easily identified by dark blue plumage (which may seem black from a distance) which in winter can show fine buffish fringe to feathers. Female resembles female Blackbird but has longer bill, shorter tail, and dull buff spotting and barring on underparts. Some show bluish tinge to upperparts. 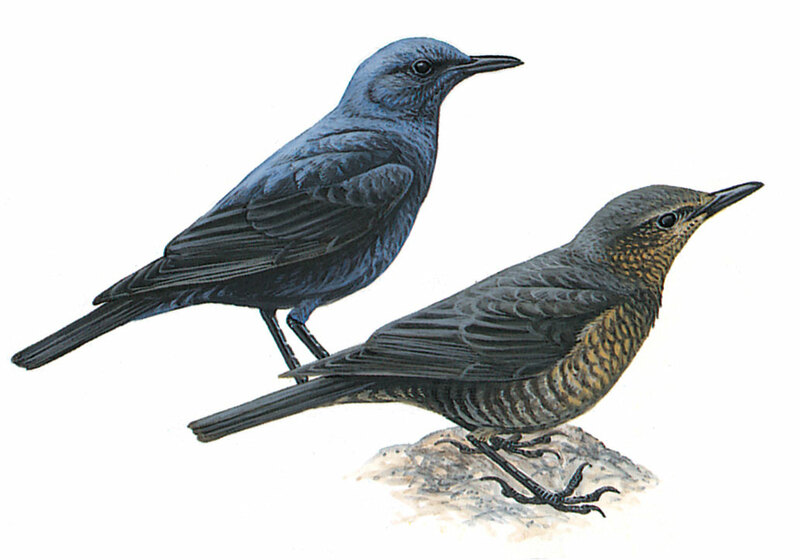 See Rock Thrush. Fairly shy but will sit boldly on rock in full view, remaining quite still.Often makes high fly-catcher type flights for insects.